The Pound Euro (GBP/EUR) exchange rate has climbed today and is currently trading around €1.372 on the inter-bank market. The Pound (GBP) gained on the Euro (EUR) today after the publication of the UK wage figures – including bonuses – increased to 3.4%, exceeding expectation. These were followed by the UK ILO unemployment rate for November which decreased to 4.0% – buoying confidence in the Pound. Prime Minister Theresa May has come under increasing pressure as some MPs rally against a possible no-deal Brexit, while Labour leader Jeremy Corbyn has tabled an amendment for a possible second referendum. This has offered support to the Pound, with some traders relieved that May’s Brexit ‘Plan B’ has gained support from Conservative MPs and the DUP, however, alternatives – such as a ‘People’s Vote’ – are restoring some confidence in the Pound over hopes of breaking the Brexit deadlock. The Euro was hit by today’s publication of Germany’s ZEW Current Conditions economic sentiment report for January, which plummeted to 27.6, well below the expectation of 43.5. The Euro has struggled against the Pound today, while recovering from Monday’s publication of Germany’s PPI figures for December which showed a worse-than-expected decrease to -0.4%. Euro investors were also unmoved by France and Germany signing a deal which pledged deeper economic ties. French President Emmanuel Macron said that it was an ‘important moment’ and that it would form a bedrock for reinvigorating ‘the European project’. Sterling investors will be keeping a close eye on Brexit developments this week, with Theresa May increasingly pushing forward with her ‘Plan B’ in an attempt to gain the necessary backing from Parliament. 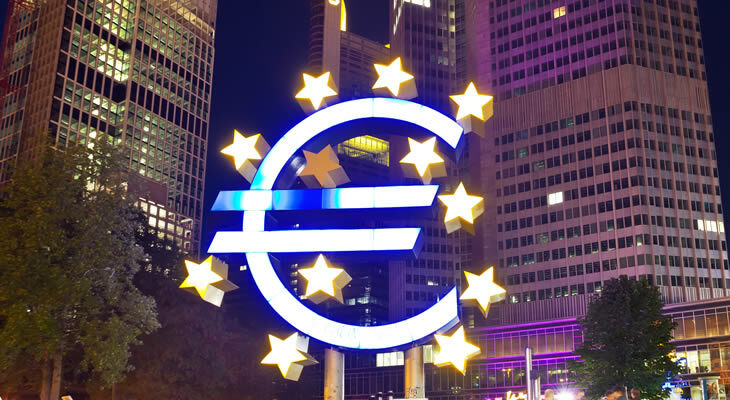 EUR investors, meanwhile, will be looking ahead to Thursday’s European Central Bank interest rate decision, with any signs of a decrease potentially seeing the single currency tumble. Thursday will also see the publication of Germany’s Markit Manufacturing PMI figures for December which are expected to decrease. The GBP/EUR exchange rate is likely to be driven by Brexit concerns once again this week, as discussions heat up over May’s ‘Plan B’ and Jeremy Corbyn offers alternative solutions, with any further developments likely to hit sentiment in the Pound.